Delayed by a week the south-western monsoons arrived over the coast of Kerala, and has covered parts of Tamil Nadu, Karnataka and Lakshadweep on Wednesday. 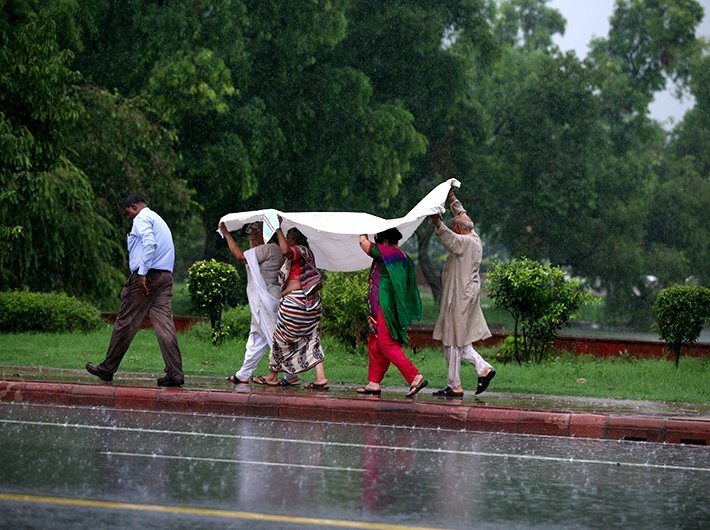 Earlier, the India Meteorological Department (IMD) had predicted the arrival of the monsoon on June 9. Usually, the monsoons hit Kerala on June 1. Kerala along with Karnataka, have been receiving substantial rainfall in the last ten days. The monsoon is set to reach other parts of the country in a few days. “The onset has nothing to do with further progress. However, there is a possibility that the monsoons will be delayed by a week or so from its usual arrival in Delhi and NCR. The initial progress in Indian peninsula will be good,” says GP Sharma of Skymet. "Conditions are favourable for further advance of southwest Monsoon into some parts of central Arabian Sea, coastal Karnataka, remaining parts of Kerala and Tamil Nadu, some more parts of south interior Karnataka, some parts of south Andhra Pradesh and some more parts of central Bay of Bengal during next 48 hours," said IMD in an official statement.